PVPC has been engaged in the project since 2010. 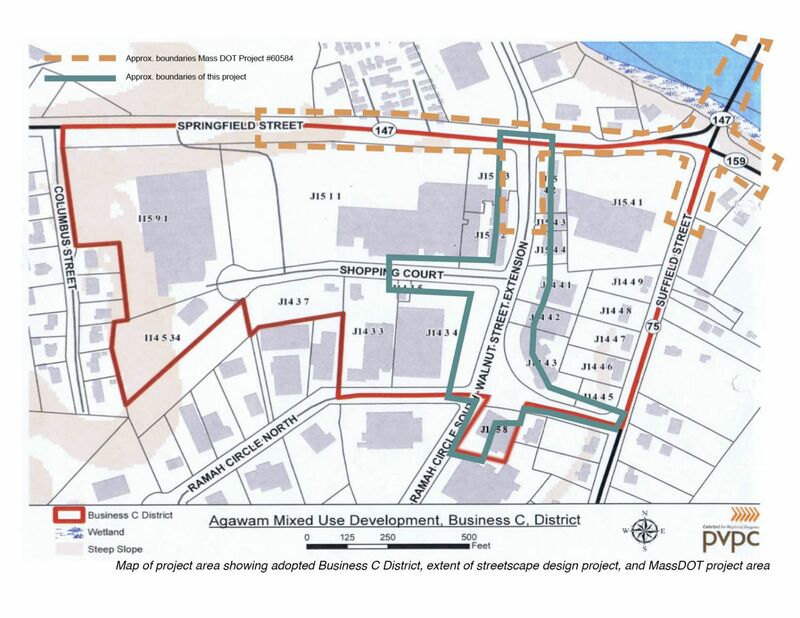 The area was singled out as a "Priority Development Site" in a 2010 Economic Development Plan produced by PVPC for Agawam. In 2013, PVPC drafted zoning revisions for the area. The new zoning, adopted in 2014, encourages redevelopment of properties by relaxing dimensional requirements while at the same time encouraging consistency of design and pedestrian-friendly development. This work was funded by a District Local Technical Assistance Grant (DLTA). Since 2014, PVPC has been working on streetscape design for Walnut St Extension which runs through the heart of the envisioned town center. The project is now at a conceptual design phase. 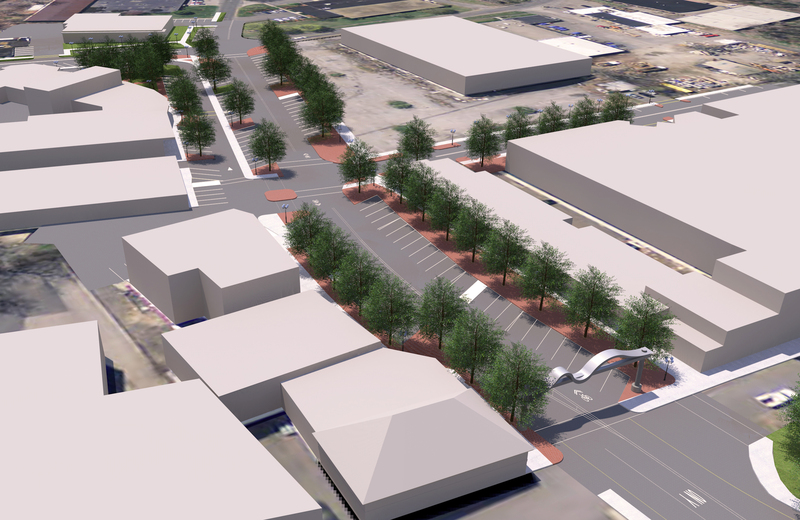 The proposed design consolidates parking from private lots into plentiful on-street parking. This has the potential to improve parking utilization, increase the total number of parking spots, and streamline maintenance. In addition, the proposed design provides wide continuous sidewalks, street trees, benches, plentiful lighting, and an entry arch. In short, it is a street that is fitting for a town center. WGGB news featured our work with Agawam to revitalize Walnut St. Extension on March 11, 2015.